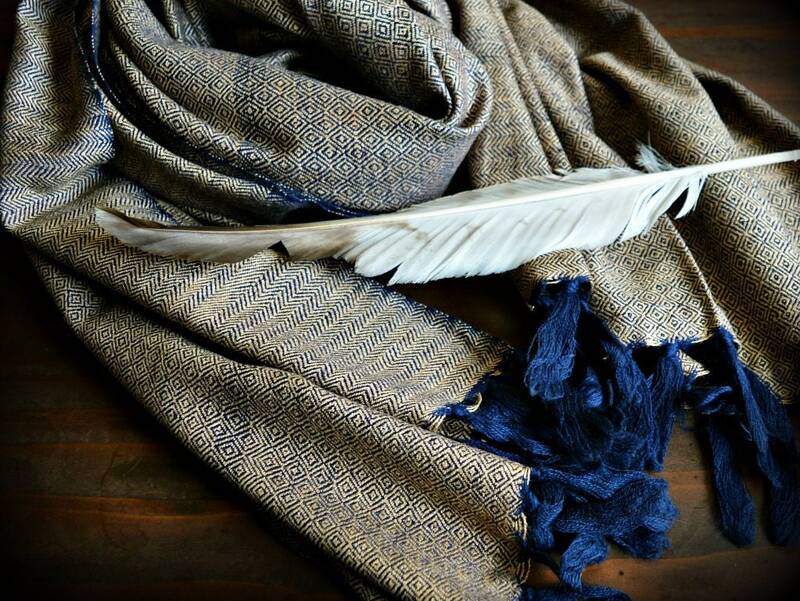 Amazing, smooth and shiny handwoven wool and silk shawl in beautiful colour combination : beige with a bit a contrast of navy blue. The final effect is so unique and luxurious. The shawl is a heaven to touch. Diamond weave with the edges in herringbone twill makes the design unique and interisting. Only 100% natural fibers : silk and wool. This shawl is a perfect addition to you historical costume for sun, cold and wind protection for Vendel and Viking period reenactors. You can wrap it around your neck, shoulders or create a head covering of it. You can wear it long or double-fold it and have two warm layers to cover your arms. 206 cm long with fringes. 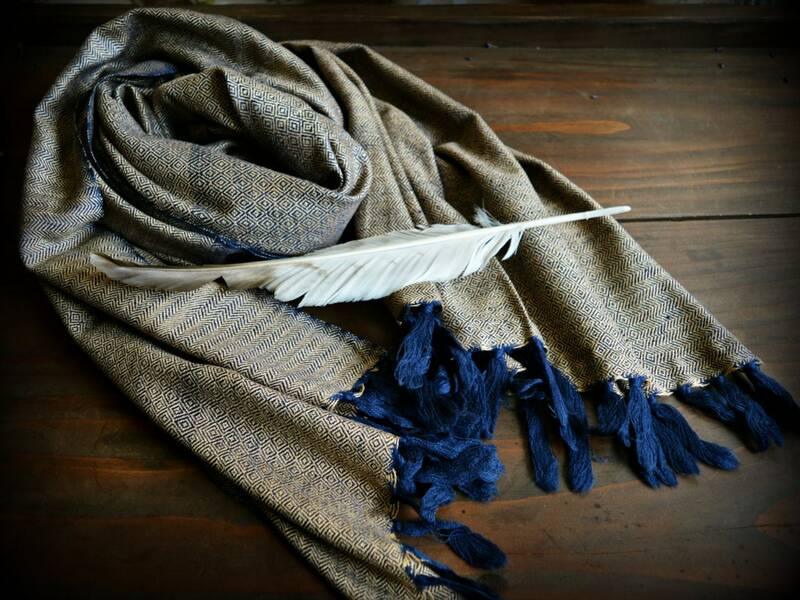 The shawl is made of yarns in two colours : beautiful beige silk for the weft and dark navy blue wool for the warp. The colours in reality may differ a bit from what you see on your screen. Handwoven from 100% natural Eri silk yarn and 100% wool yarn. Please hand wash in cold water or dry clean. Eri silk is called nonviolence silk, as the silkworms are left free (they are not boiled in water) during the production of silk.